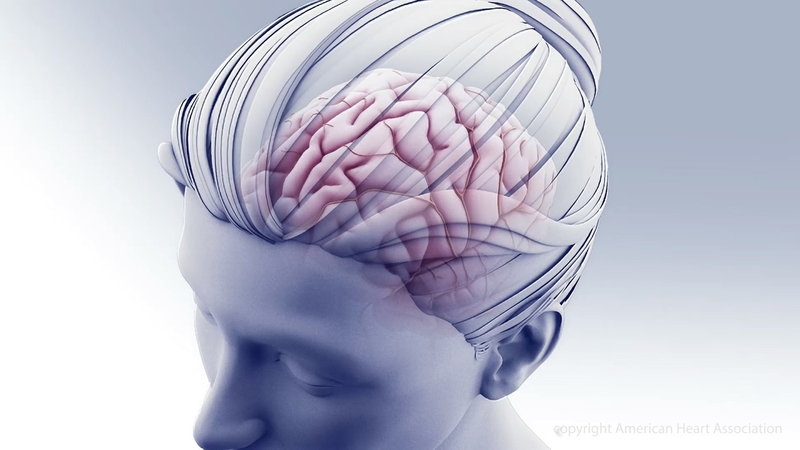 LOS ANGELES, Jan. 25, 2018 — Clot removal may be beneficial up to 24 hours following stroke in carefully selected patients, but every hour delayed after symptoms begin may be associated with more disability, according to preliminary research presented at the American Stroke Association’s International Stroke Conference 2018, a world premier meeting dedicated to the science and treatment of cerebrovascular disease for researchers and clinicians. 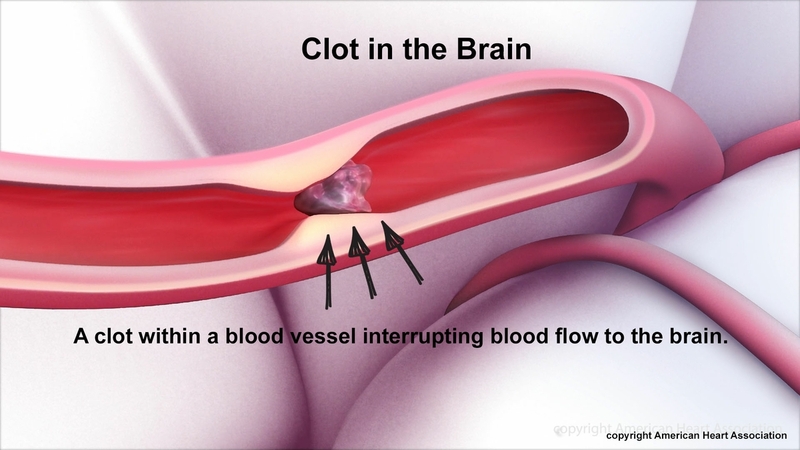 The international DAWN trial previously demonstrated that patients with a small area of irreversible brain damage and a large area of brain at jeopardy of being lost if the clot remains are more likely to recover with minimal disability if the clot is removed up to 24 hours after symptoms begin or were noticed. It is already well-established that the benefit of clot removal declines each hour during the first 6 hours after symptoms are detected. 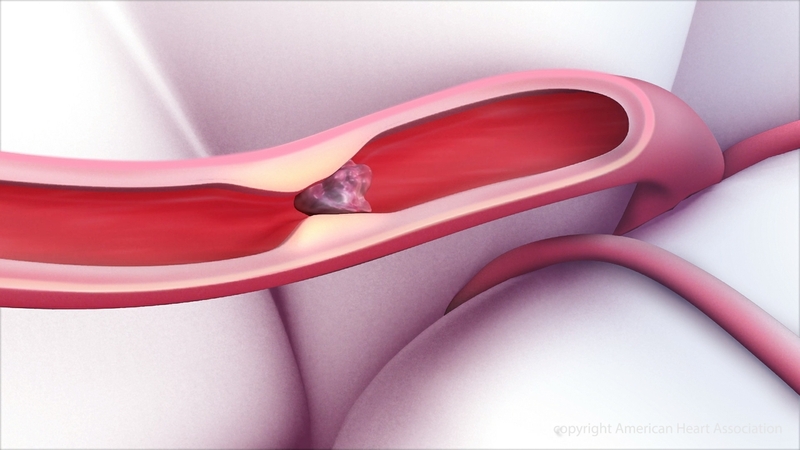 treatment remains beneficial through 24 hours, with patients who had their clots removed being 35.5 percent more likely to have minimal or no disability 90 days later, but the overall effect of treatment declines with time. 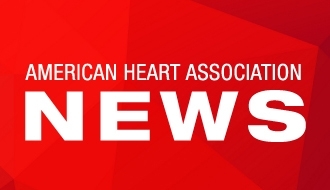 The current results demonstrate the importance of prompt imaging and treatment of patients with clot-caused stroke, even in those who wake up having experienced a stroke or who for other reasons are not identified in the first few hours after the onset of symptoms. 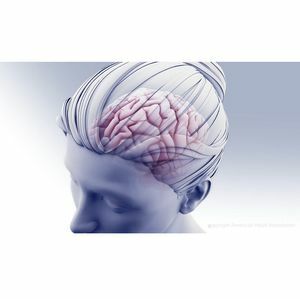 Stryker Neuroendovascular funded the DAWN Trial. Raul G. Nogueira M.D., Emory University School of Medicine, Atlanta, Georgia. 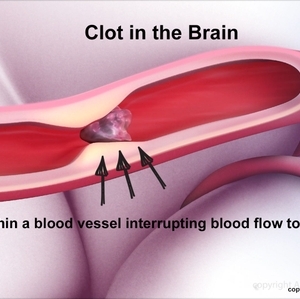 A clot within a blood vessel interrupting blood flow to the brain.